In the past two years, I have used different types of baby wipes and still trying different brands of baby wipes. Like other baby products wet wipes very much essential products for all parents. Baby wipes can be the most convenient and quick way to get your baby or toddler clean and keep them comfortable and refresh all the time. Very recently I started using new baby wipes for my boy. To be honest, before this product I had a misconception that all the baby wipes made of cotton. But the polyester baby wipes have also existed in the market. I dropped few baby wipes brands just after the first trial because of their hard quality and some did not suit my baby's skin, perhaps they were made with paraben, sulphate or any other chemicals? 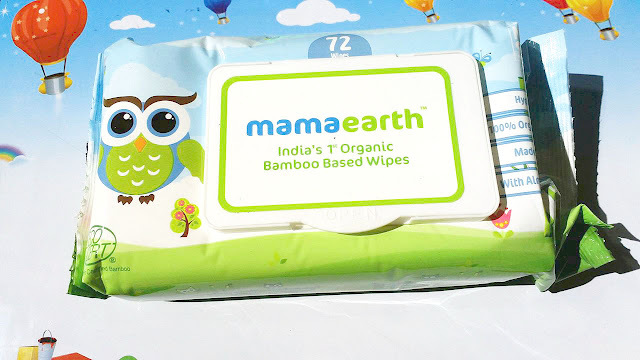 In today's post, I'm going to share my experience with India’s 1st Organic Bamboo based wipes from Mamaearth. Like other products of Mamaearth, it is also a toxin-free and 100% natural wet wipes for babies. So let's move on to the details. I know how much mess a little one can make and that is why I am here to help you. Whether you're changing a diaper or need to wipe up baby's face after a messy meal, I am gentle and safe for all parts of your baby's delicate skin. I am pediatrician tested, hypoallergenic wipe, soft and ideal for sensitive skin. I am made from 100% Organic Bamboo and hence I don't cause rashes. I am enriched with Shea Butter, Almond Oil, and Aloe vera to gently nourish your baby's skin. 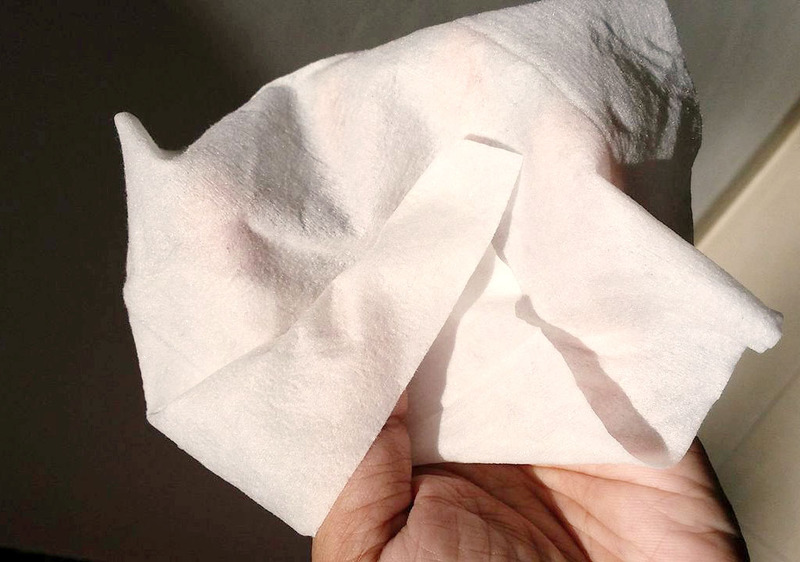 I am a friendly biodegradable alternative to traditional polyester based wet wipes. 100% Organic Bamboo: India'S First Polyester Free Unbleached Organic Bamboo Based Wipes, Certified By Made Safe Organization. Bamboo Fiber Is More Breathable Than Cotton Fiber. Perfect For Baby'S Sensitive Skin: 100% Organic Bamboo Wipes Are Perfect For Daily Regular Use. Gentle Blend Of Aloe Vera, Shea Butter, Almond Oil And Lavender Oil Gently Cleanses And Soothes Baby'S Skin. Perfect For Cleaning Messy Hands, Face And Body. 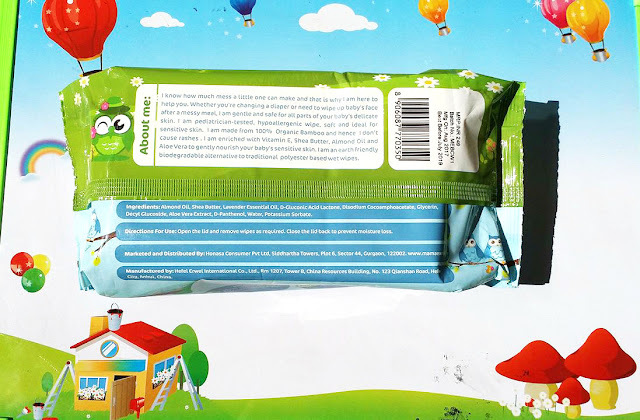 Travel Friendly: These Gentle Wipes Are Easy To Carry Around When You Are Travelling With Your Baby. 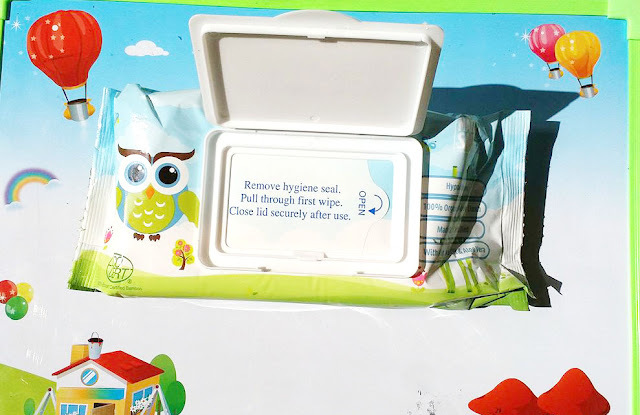 They Have A Protective Lid That Helps Lock The Freshness And Moisture Of Wipes For Longer. No Rashes, Redness, Dry & Cracked Skin: The Mild Ingredients In These Soft Baby Wipes Ensure That There Is No Irritation With Constant Use Of These Wipes. The Wipes Are Ph Balanced, Hypoallergenic And Are Clinically Tested So They Wipe Away Dirt Without Stripping Away Natural Oils, From The Sensitive Skin Of Babies. These Are Gentle Enough To Use Daily. Perhaps one of the most important parts of baby wipes is the ingredients label. Eco-conscious moms always want the most organic, most biodegradable, and least chemically-treated wipe available. I'm sure this baby wipes meet your taste. Just check the ingredients list on the back of the baby wipes package, you can easily identifiable stuff, such as water, almond oil, shea butter, lavender oil, aloe vera extract, glycerin, and organic bamboo cloth more on. 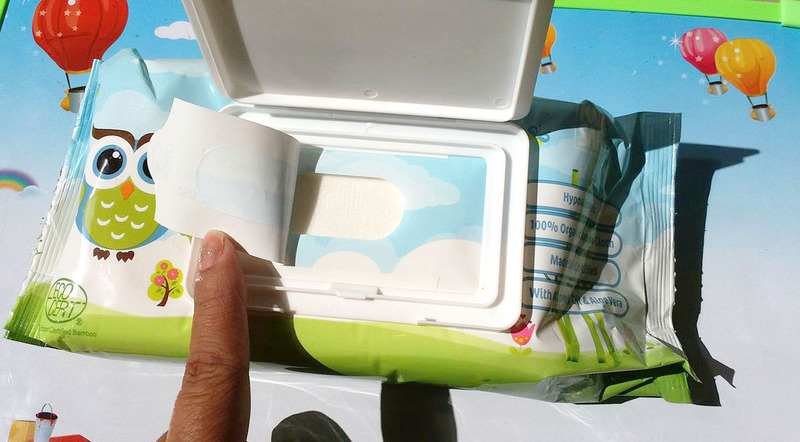 A pack of wipes comes in a lovely green, pale blue and white pack, a light color pack that with cute natural theme printed shows the wipes are for babies. The packaging itself feel like this symbolizes freshness of life. The pack secure with a protective plastic lid with a plastic sticker seal. The plastic lid is very handy to pull and also prevents it from drying out the wipes moisture. The cloth-like wipe is soft with a thick texture, so it isn’t going to slip out of your hand, which is really very important when you’re wiping your baby’s bottom. It’s also thick enough that you should only need one to get the job done nicely. On the other hand, it has a very mild and natural fragrance which is really soothing and refreshing. The moisture level of each wipe is always right, it never sopping wet or too dried out, so it can clean effectively. And the good thing is that it made with Almond Oil, Shea Butter, Lavender Oil, Aloe Vera extract, Glycerin is meant to protect your baby ’s delicate skin. I use wipes mostly while traveling and it is really very helpful. I use it not just for changing nappies but to clean up my toddler, wash his face and hands when we’re out. It does not harm or cause any baby rashes. The wipes have so much of moisturizing agents that I did not find the use of any baby lotions after usage. I sometimes even clean my make-up too. Frankly, I did not find any cons in it. Mamaearth Organic Bamboo Based Baby Wipes has only 72 count package available (if I'm not wrong), due to its cloth-like texture made wipes, little heavy which is not convenient for carrying the whole pack in a purse for a one-day outing. So my suggestion, if the wipes come in a 10 or 15 count package then it will be more convenient to carry during short trips. Of course, we only want the best for our baby and Mamaearth Organic Bamboo Based Baby Wipes are a great choice for all your needs, whether you’re welcoming a new member into your family or heading into the toddler years. And really thanks to its safe ingredients, smart package design, nice size, and environment-friendly baby wipes. Disclaimer: The product was sent by the brand however my opinion is completely honest and unbiased. Hey Admin. Thank you so much for providing knowledge about this amazing product for babies. A baby has very sensitive skin. I think ingredients usage for this products organic bamboo cloth, glycerin, mineral oil that are 100% natural product for baby’s skin. I really like this product. Thanks to providing this amazing knowledge.